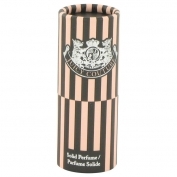 Juicy Couture is a lovely floral fruity fragrance designed by Harry Fremont for the eponymous brand. It was launched in 2006 and became an instant hit with both the American audience and the critics who awarded it with the industry's top honorThe FiFi Fragrance of the Year 2006. Europe followed suit very quickly.